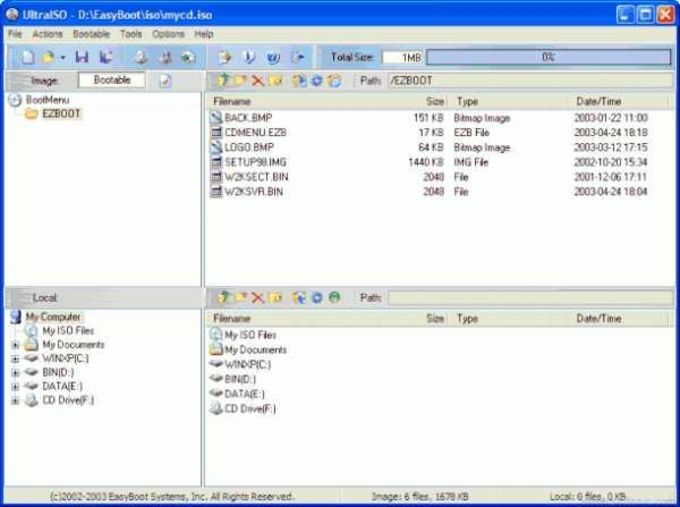 UltraISO is a tool to create, check and edit ISO images from a CD or DVD. It's a very user friendly tool compatible with multiple formats. drives and convert to a variety of formats. An interesting feature is to create your own autobootable disks. Somewhat old fashioned user interface. It kind of reminds you of Nero Burning Rom. The interface is functional yet not very appealing in terms of design. it failed to download.and it does not deserve even a single score without that! Windows 7 and UltraISO V9.33. This version works in the recently released Windows 7 RC build 7100. Though there is a slight glitch during the installation the program works brilliantly. I much like the interface when r-clicking a ISO file and to have he abilty to mount the file to a virtual drive. Superior! Product is light-weight and a comfort to use with all the features necessary to complete the task at hand. What do you think about UltraISO? Do you recommend it? Why?